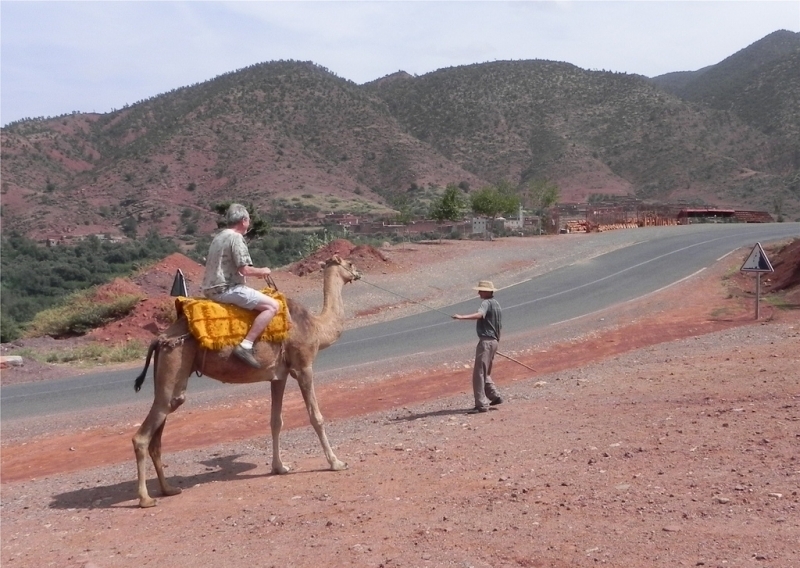 Marrakech is a stunning city full of landscapes and natural mountains. 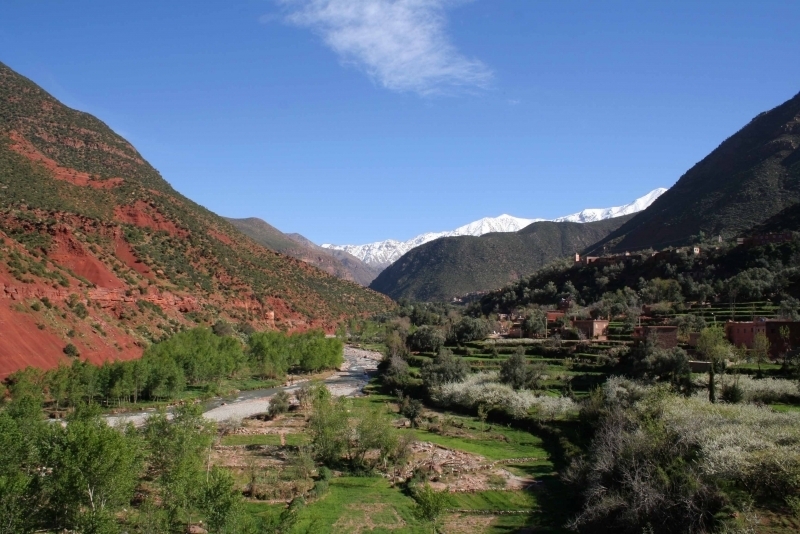 One of the greatest natural sightseeing spots is Ourika Valley located 30 km south of Marrakech. 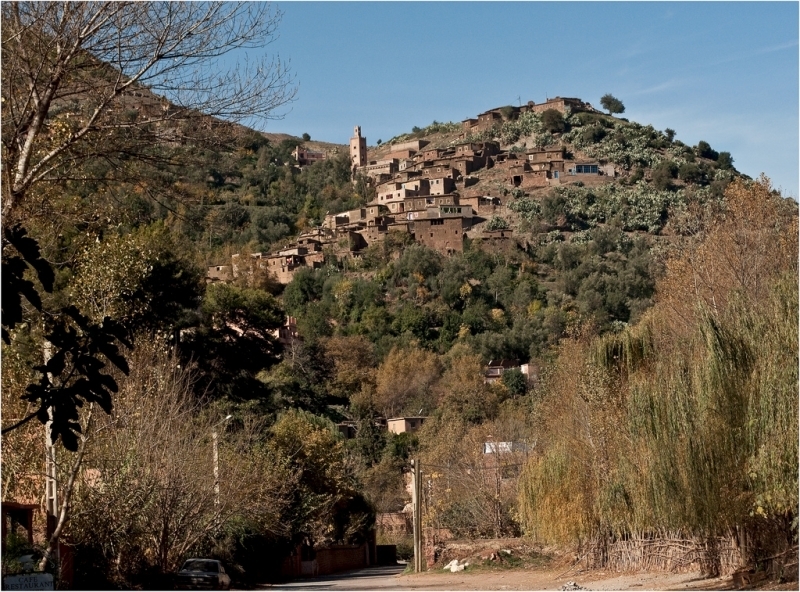 The Ourika Valley lies in the first foothills of the High Atlas, a beautiful expanse of luxuriant green, its adobe villages clinging to the mountainsides. 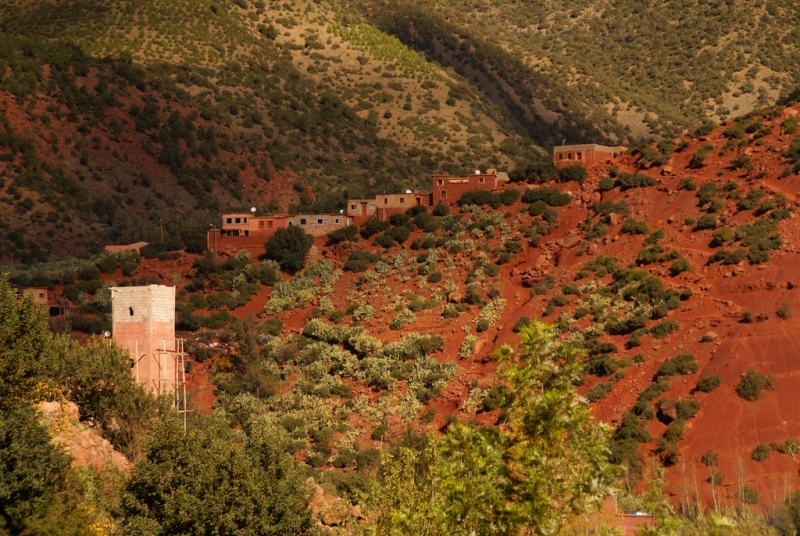 The “Jardin du Safran” in the village of TnineOurika is a saffron farm open to visitors, while a little further on, the Bio-aromatic Gardens grow 45 varieties of aromatic and medicinal plants, which you are invited to taste as well as to smell. The terraced Timalizene Garden also offers visitors its special Berber tea, scented with homegrown herbs. 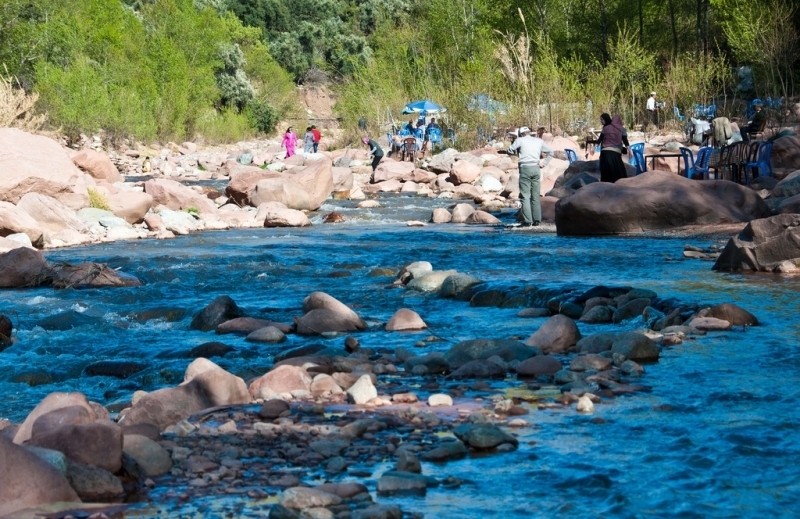 The road stops at Setti-Fatma, at the end of the stunning valley, but those who are more adventurous can continue on foot to the seven waterfalls that await their discovery. Once you arrive in Marrakesh, you will feel like you are going back in time, not to mention the charm and beauty of this magnificent pearl of Morocco. You will witness the caravans loading their camels with food, tools and handiwork as you wander through the alleys of the old town. The souks of Marrakesh contain everything that a traveller could want: color, atmosphere and smells, as well as welcoming and smiling faces.The Semmarine souk is one of the most well-known souks in the city that is specialized in clothing. You will find many typical clothes there made traditionally in the narrow streets surrounding the souk. Some shops there sell jewelry and precious antiques. Not to mention the famous Jemaa El Fna, which is a medieval world where you will find some storytellers, shopkeepers and snake charmers seeking your attention. Pay as visit to the splendid Bahia Palace where surprising Andalusian gardens add to the refinement of the prestigious apartments and their secret patios. Also, you will pass by The Dar Si Said Museum that is located nearby, where you will witness the great architectural value of the museum. It also exposes some of the most unique Moroccan art; its collections will help you to plunge into the Moroccan way of life down to its most mundane aspects. Marrakech is a rich city in history and culture. Full of stunning mountains and hot springs that will leave you breathless, discover the amazing Marrakech through one of Morocco tours. Marrakesh is more than just a city. It is a pearl polished by history and its tradition of hospitality which, for centuries, has known how to welcome visitors!